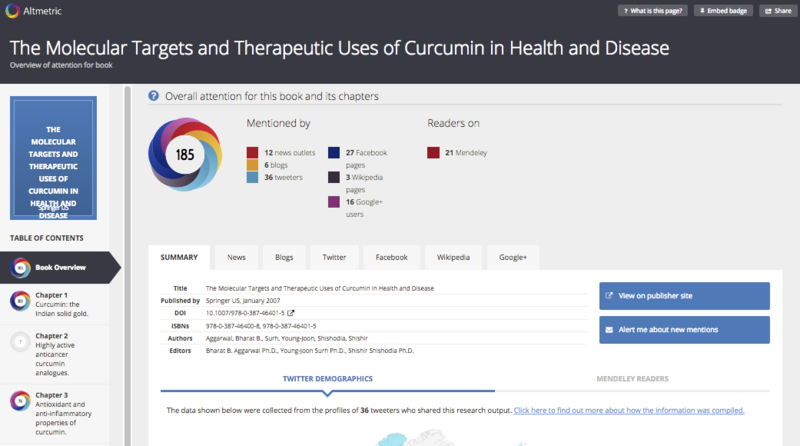 What are altmetrics for books and why do we need them? In 2015 the Altmetric team embarked on exciting project: to develop and build Bookmetrix, in partnership with Springer Nature. Bookmetrix went live in April 2015 and marked a new beginning in the way that authors, publishers and editors can understand and interpret the online activity that takes place around the books that they produce. In 2016 the Altmetric team extended this more broadly, launching Badges for Books in April. With this new technology other publishers now have the ability to have the attention for their books tracked and collated at both the title and chapter level – providing up-to-the minute insights that can provide useful data for portfolio development. Before, authors and editors had to rely on sales, downloads and page views as a proxy for the success of a book. Citation information was limited and did little to capture the broader engagements that were taking place. Altmetrics have changed that. They capture the individual and unique interactions that are taking place online every day, from audiences and channels all over the world. For books specifically, a record of the online reviews or evidence of the number of university syllabi a book is included in can tell a powerful story about it’s value and relevance. It’s this level of insight that we hoped to bring to audiences in the development of altmetrics for books – and this level of insight that we hope to build on in future. But what does the availability of this new information mean for journal editors, and how can it be beneficial for them? 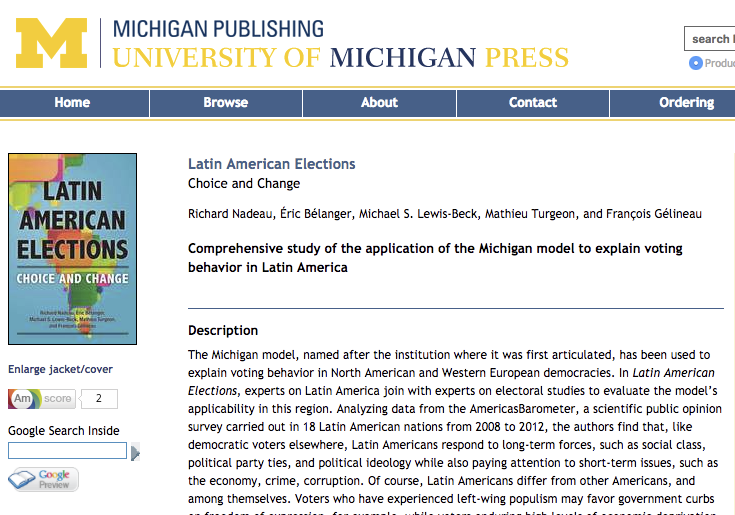 What can book editors use altmetrics for? Identifying the volume and type of engagement with a book or series is critical to any successful publishing strategy, and getting insight into this as early as possible can help you find opportunities to further promote popular items amongst new audiences. You might notice, for example, that a new publication is receiving attention from somewhere or someone unexpected, or even that a older work is gaining traction again.It might also be useful to take a look at the attention other books of similar topic published by your competitors are receiving. This can help you identify new channels and strategies for increasing the visibility of your own monographs. For book authors, who to date have had little in the way of data to demonstrate the reach and potential broader influence of their work, the information that altmetrics provide can be used as great evidence for their CV or funding applications. Which books or chapters are your most popular, and why? Altmetrics can help you determine this! If you’re wondering what topics to expand into next year or whether to continue a series, take a look at your altmetrics and those of other publishers to see what’s resonating with your target audience. This information might also be helpful for structuring future volumes – perhaps certain topics or styles or writing are more accessible to a broader audience, and therefore shared or discussed more widely. Been invited to edit a new book but not sure who to invite to contribute, or want to find some new talent? The immediacy of altmetrics is really useful here, particularly when looking to include early career researchers. You could take a look at the altmetrics for papers they might have published, or even identify academics who are engaging online with research in the discipline of interest as a way of surfacing connected communicators who would bring value and visibility to your book. There’s certainly more to any researcher than the number of citations they have, and altmetrics can provide a handy way of more easily surfacing other skills. 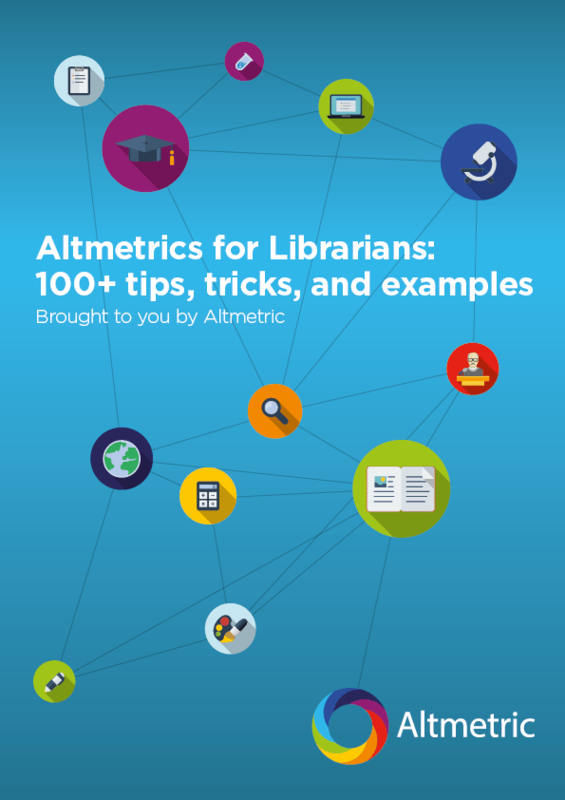 Want altmetrics for your books? The good news is that there is likely already online attention surrounding your publications, and that Altmetric may well be busy collating it! If the book was published by someone else please get in touch to find out more! We might still already be tracking it and would be happy to share more information on how you can view these attention insights on an ongoing basis.